All tattoos have some sort of connection to the person who chose to get it. Whether it is a symbolic meaning, or just an image they like, it is a personal choice that could mean something different to every person with a similar image. In the case of a semicolon, the meaning has become pretty universal and we have Amy Bluel to thank for that. Amy Bluel showing off her semicolon tattoo. After sadly losing her father to suicide, Bluel wanted to do something to honor him and to help raise awareness for mental health issues. 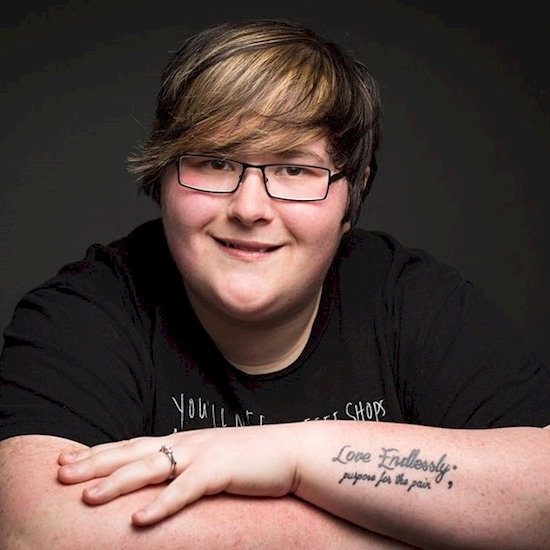 In founding Project Semicolon she has done both. 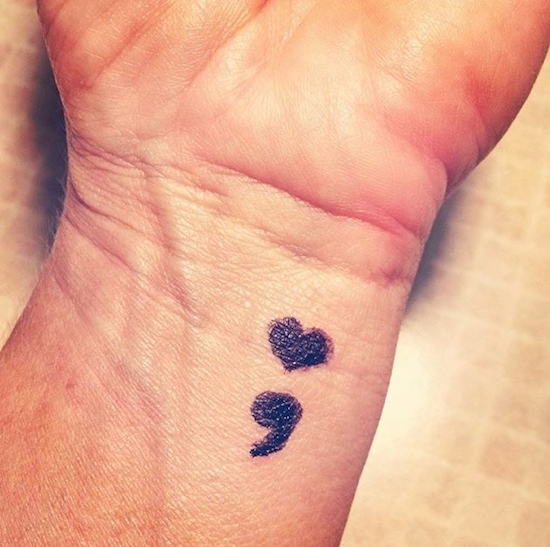 The organization and movement are “dedicated to presenting hope and love for those who are struggling with depression, suicide, addiction and self-injury.” They encourage people to draw or tattoo a semicolon onto their bodies as a reminder of the power of yourself. 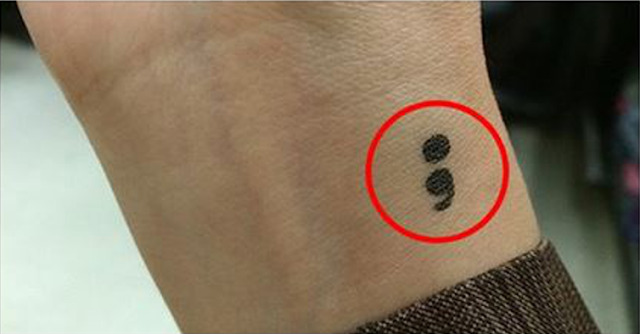 Many people have chosen to mark their body with the semicolon as a reminder that their sentence and story is not over yet. They are still here and they have another chance to make things better. The idea is that despite the past struggles and hardships, you don’t have to stop where you are. By continuing on, the sentence gets a new beginning and a new place to end. 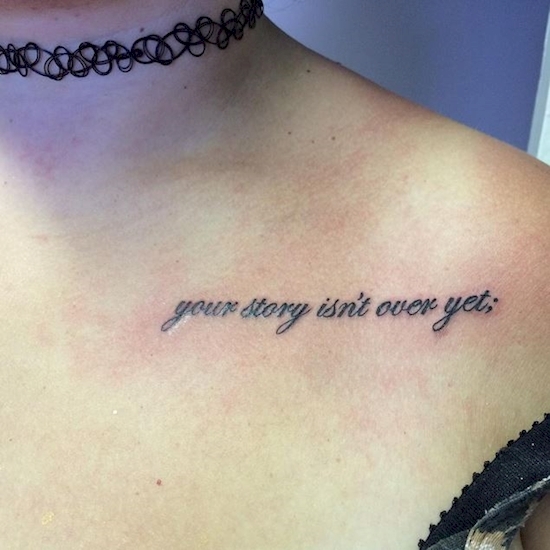 Project Semicolon encourages people to share their story with one another and to inspire each other to keep persevering despite the difficulties. Many people choose to wear the symbol permanently as a reminder to themselves that they are not alone and where they are at the moment is not the end. 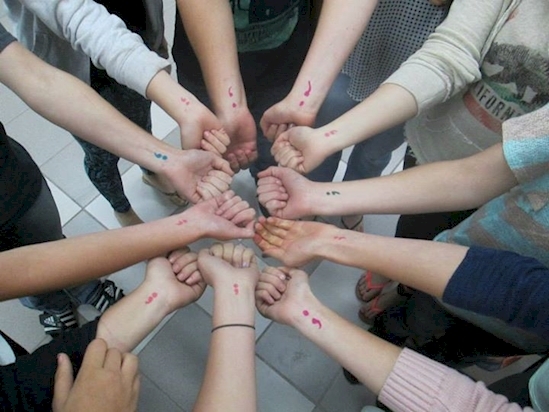 You can get in touch with the Semicolon Project on Facebook or through their website. They are not a 24-hotline nor are they mental health professionals but they are a resource for support and to talk about issues. For emergency support or professional resources contact 1-800-SUICIDE (784-2433) or 1-800-273-TALK (8255) or find a local resource center. This post was republished from diply.com. You can find the original post here.